1. Double however long Google maps says it will take. That’s if nothing goes wrong. 2. Read the road, not the signs. If there is a sign for the (massive!) speed bumps, it may appear only a metre before the speed bump. 3. Forget everything I said about a 4WD not being necessary. That might be true in Dodoma town but there were several times when we would have been in serious trouble without one. We didn’t see any cars – just other 4WDs, trucks, buses and dala dalas. 4. Whether or not the speed limit is signed is irrelevant. If the policeman thinks it’s a 50 zone in the middle of nowhere, it’s a 50 zone. 5. 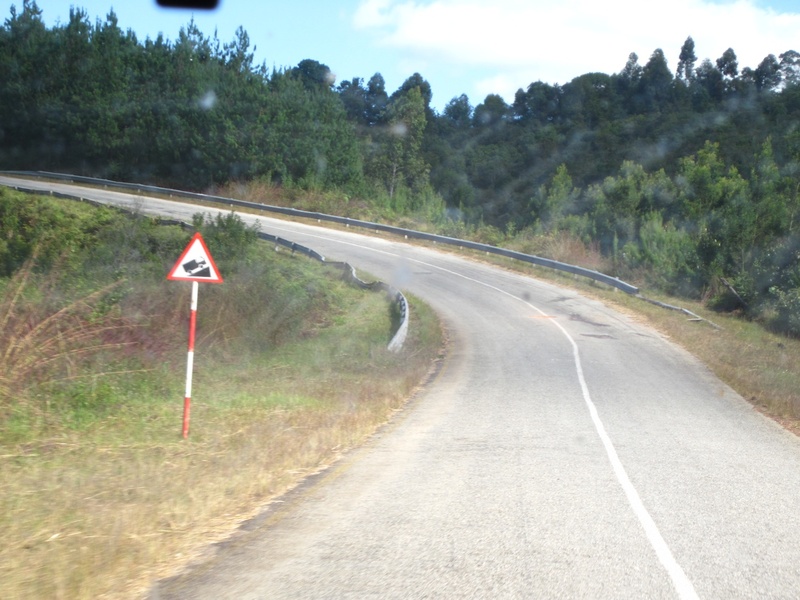 Other Tanzanian drivers were perplexed that I would not overtake on a blind corner. On the plus side, they were very willing to be overtaken and were happy to indicate so. Anyone who has watched motorsport knows corners are the best for overtaking. everyone here in Nepal seems to watch motorsport too!